Now is your chance to gain valuable training for you and your employees. 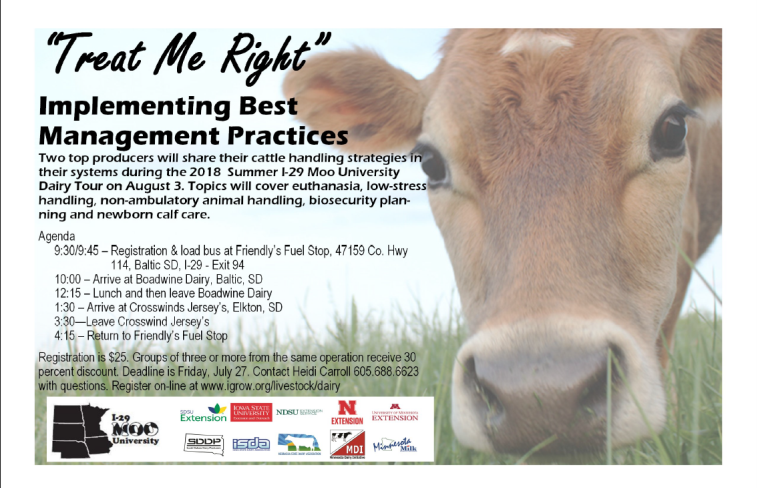 The upcoming I-29 Moo University Dairy Tour, Friday, August 3rd, will be highlighting best management practices on Boadwine Farms and Crosswind Jerseys during the “Treat Me Right” Implementing Best Management Practices Summer Tour. Group pain mitigation when disbudding and processing calves. Discuss handling non-ambulatory animals to ensure animal health and welfare along with employee safety. An overview of both Dairy Operations. Registration is $25 per person and groups of three or more from the same operation receive a 30% discount. Deadline for registration is July 27th. Register online at http://igrow.org/events/i-29-moo-university-2018-summer-dairy-tour/ . Leaders of Nebraska agriculture organizations who represent tens of thousands of Nebraska farmers, ranchers, and livestock feeders have come together to outline principles to guide actions on comprehensive tax/education funding reform for Nebraska. The principles are targeted to addressing Nebraska’s tax system that has led to an imbalance and overreliance on property taxes to fund education and other government services. It’s important we collectively share where we believe the discussion on tax/education funding reform needs to go. Our principles provide parameters for the critical discussions that need to take place during the coming months leading up to the 2019 legislative session. 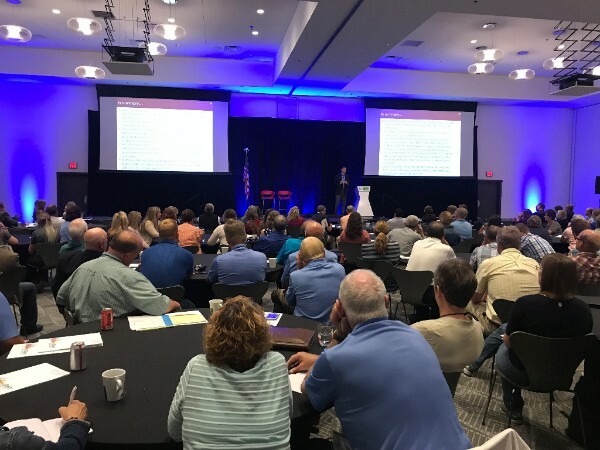 The Agriculture Leaders Working Group which developed these principles include member-elected leaders from the Nebraska Cattlemen, Nebraska Corn Growers Association, Nebraska Farm Bureau, Nebraska Pork Producers Association, Nebraska Soybean Association, Nebraska State Dairy Association, and the Nebraska Wheat Growers Association. As a group they are working on establishing a set of principles to follow as we work toward the 2019 Legislative session. 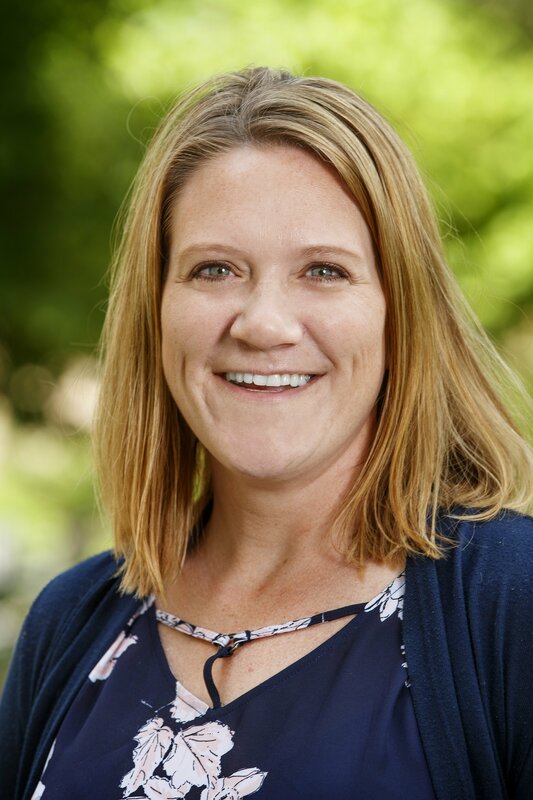 Hear from Kim Clark, Dairy Extension Educator, on the Livestock Emergency Response Preparedness Program (LERP) offered by Nebraska Extension and the Nebraska Department of Agriculture. 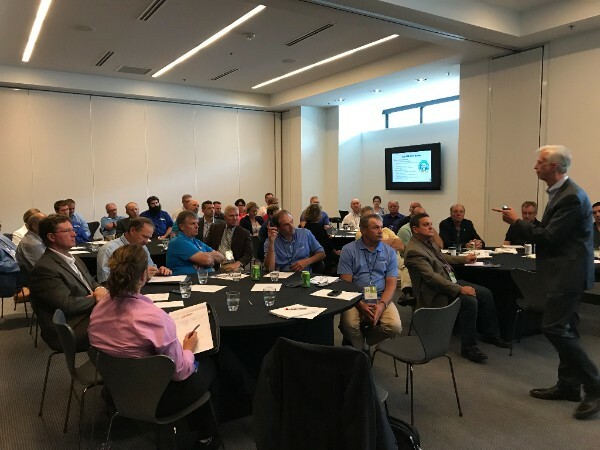 Several Nebraska dairy farmers and Dairy Ambassadors attended the Dairy Experience Forum in Minneapolis July 24-26. Shown here, they are listening to dairy economist, Marin Bozic discussing the current dairy outlook. Jim Mulhern, National Milk Producers Federation President and CEO, speaks to dairy producers about current issues affecting the dairy industry in a special meeting of state trade associations.